What to do with a 12-hour layover at Heathrow? We were en route to Bangkok for an Oldways Symposium, and rather than face duty free and airport food for the duration, Dun had the fantastic idea of a day trip to Windsor. 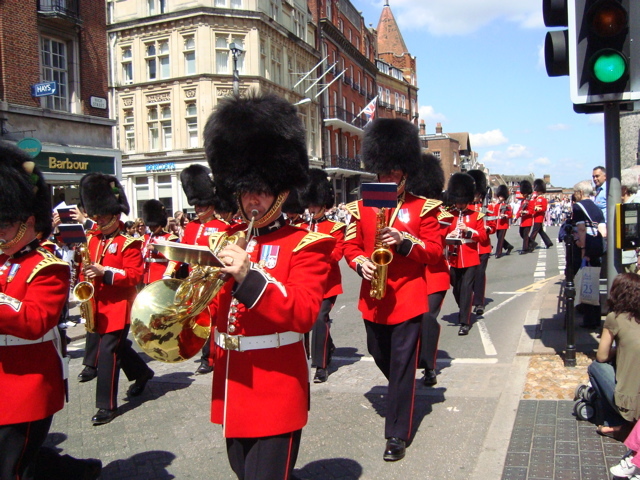 We were landed at 10 AM, were met by a wonderful touring twosome from London Magical Tours, and we whisked oﬀ to Windsor, arriving just in time for the changing of the Guards. BUT, this wasn’t just any old Tuesday. This was the Day after the Award of the Garter at Windsor and Ascot Opening Day. Can’t you just hear Lerner & Lowe’s music…”Every Duke and Earl and Pe-uh is he-uh….” and Eliza Doolitle yelling, “Dovah, move your blooming arse!! ?” The signiﬁcance of the Award of the Garter and the Opening of the Ascot means the Queen is in residence. 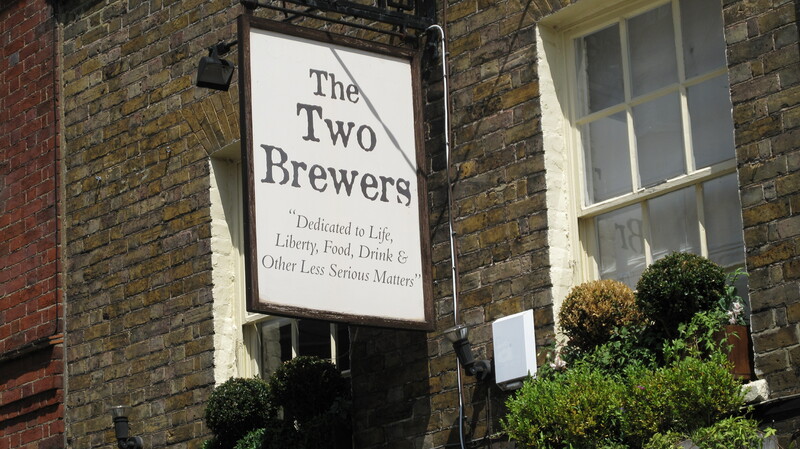 Our fabulous guides John and Ana scouted out the time and gate of the Queen’s departure, and after a scrumptious Pub lunch, we positioned ourselves outside the appropriate gate. Dun and John on one side, Ana and me on the other. 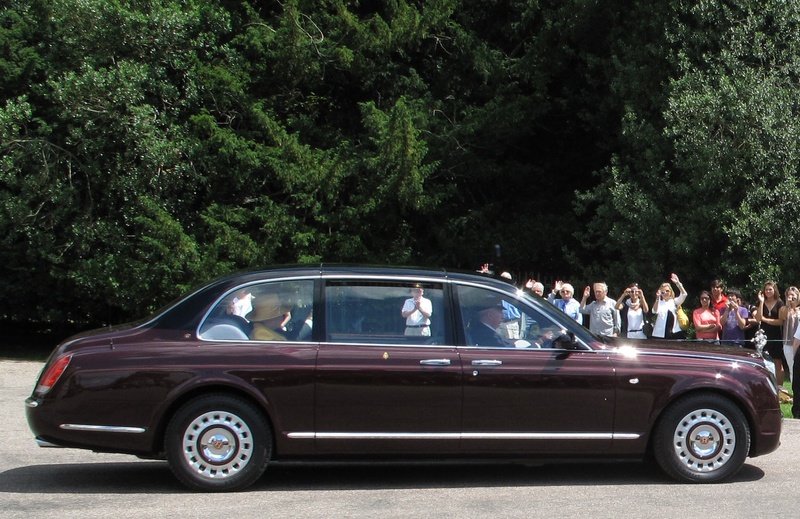 The Queen’s burgundy Bentley pulled out of the gate, and as you can see from Dun’s photo (BELOW), she is staring at Ana and me (I’m the one in white waving!). We are absolutely positive that she is transﬁxed by my bright yellow sunglasses, the same spectacular shade as her Ascot attire!